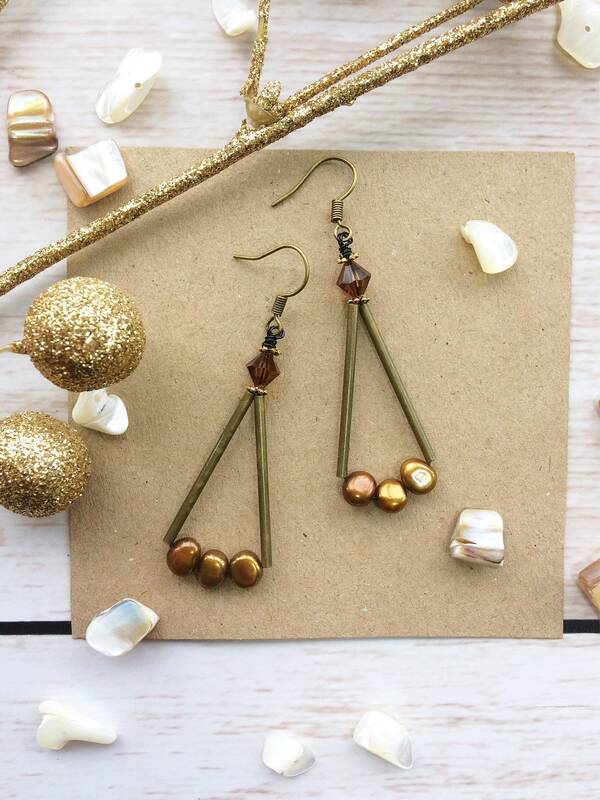 Classic with freshwater pearls yet contemporary in geometric design, these earrings are a interesting mix. 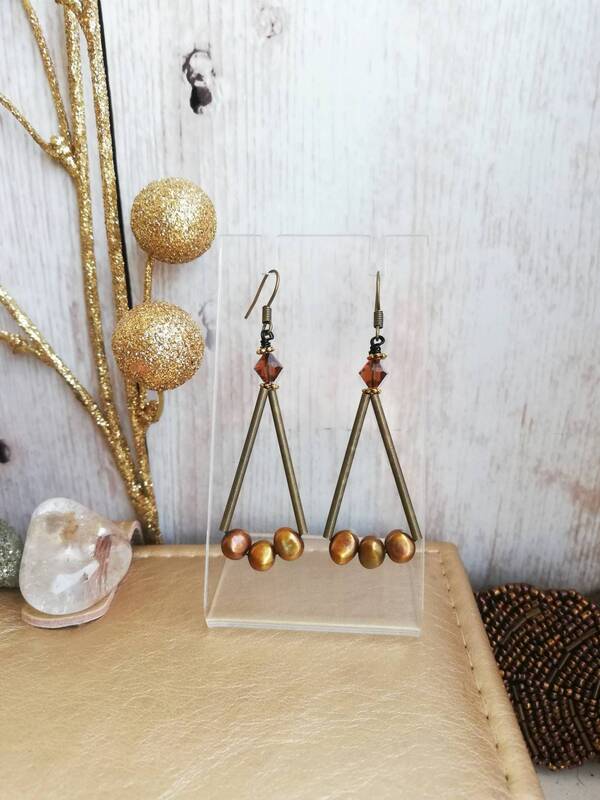 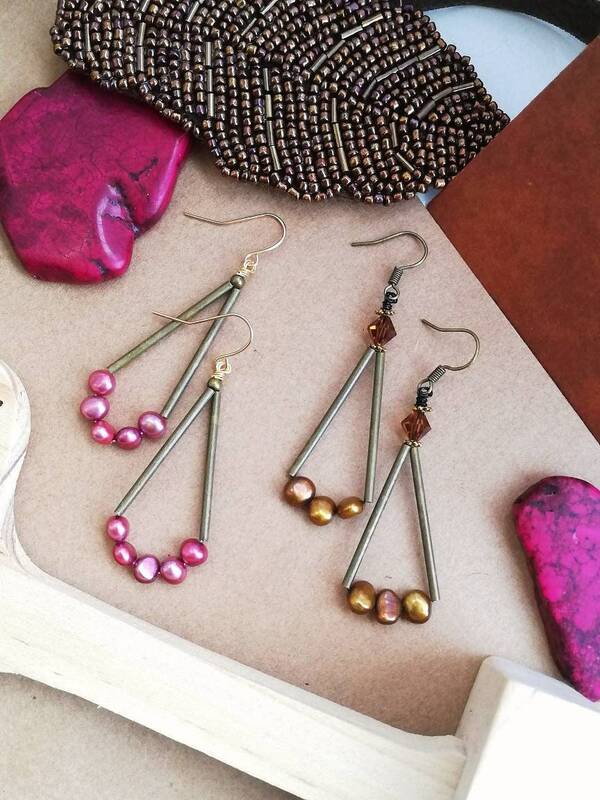 The copper pearls are a beautiful lustre of opalescent bronze, gold and copper tones. 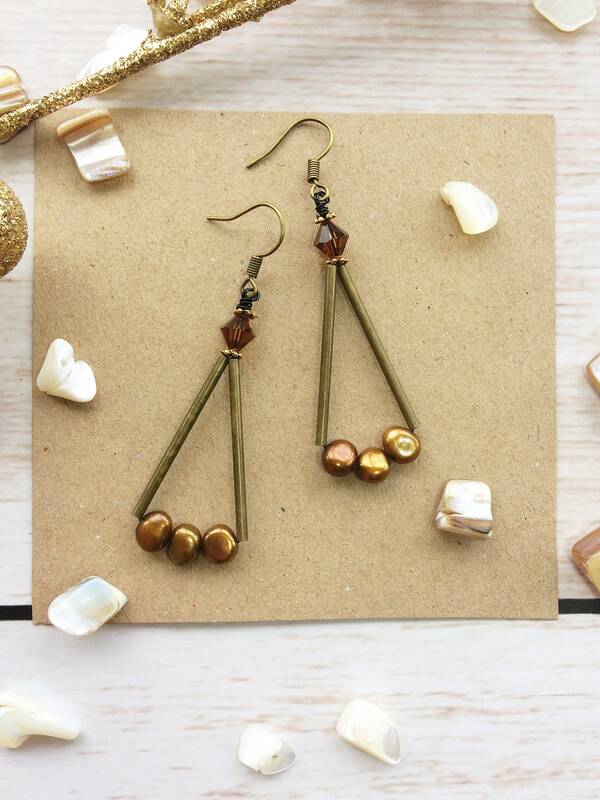 With antique gold coloured tube beads, a Swarovski crystal crowns the top of this statement pair. 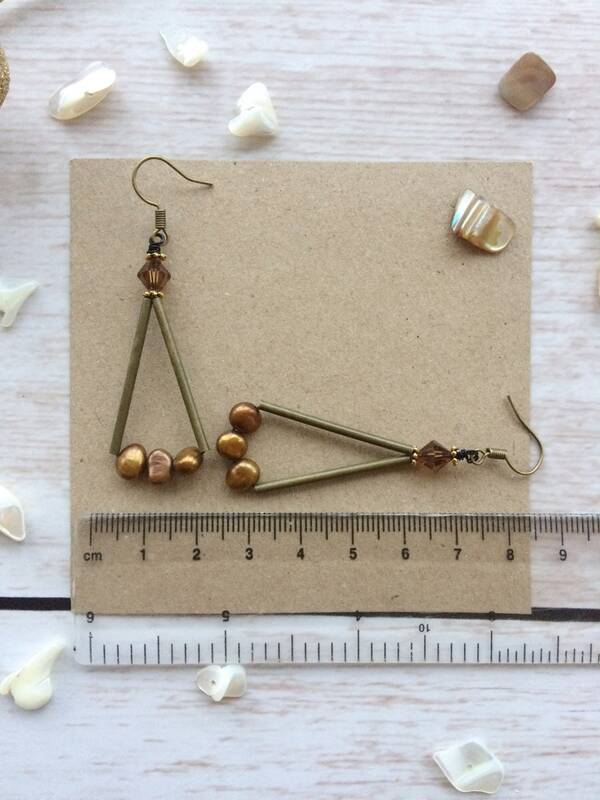 They are finished with light weight gold coloured ear wires. 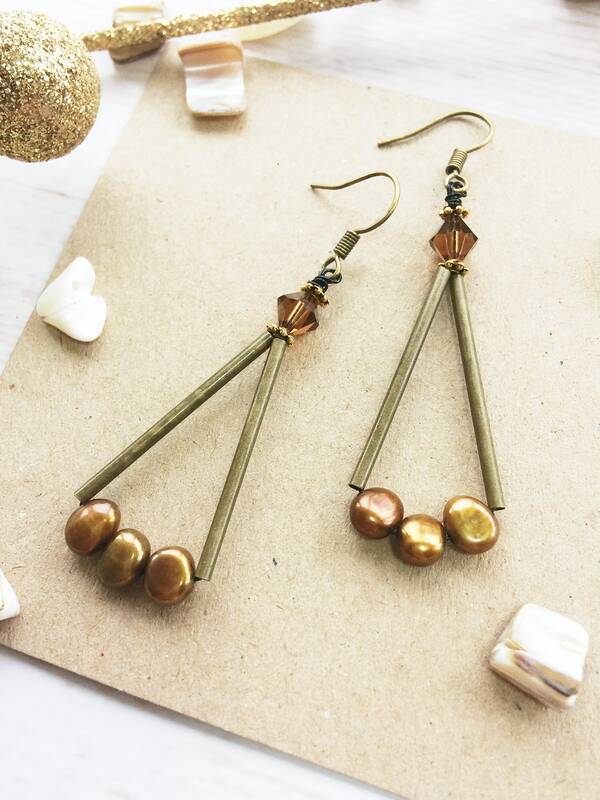 They are 4.5cm in length (excluding ear wire) and 2.5cm in width at the widest point. 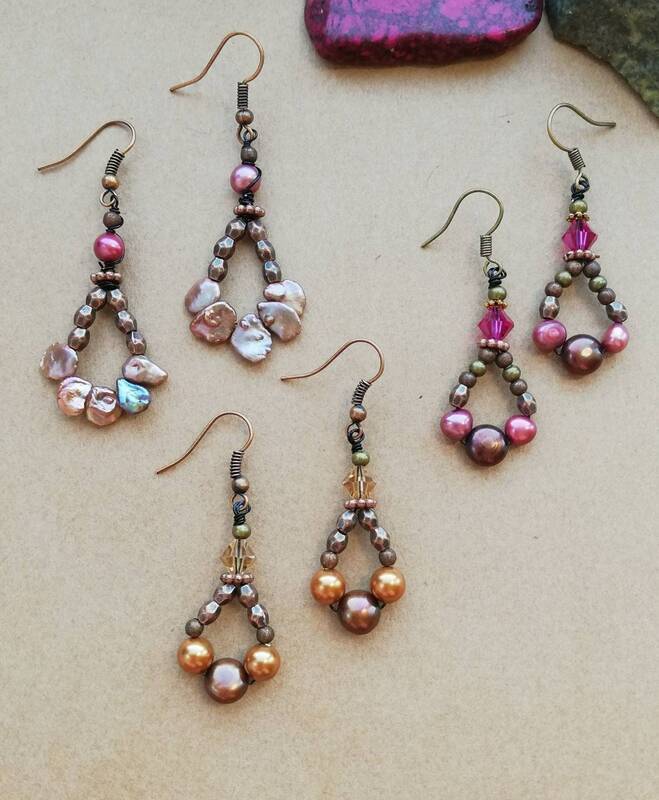 I made a small collection in this style with freshwater pearls. 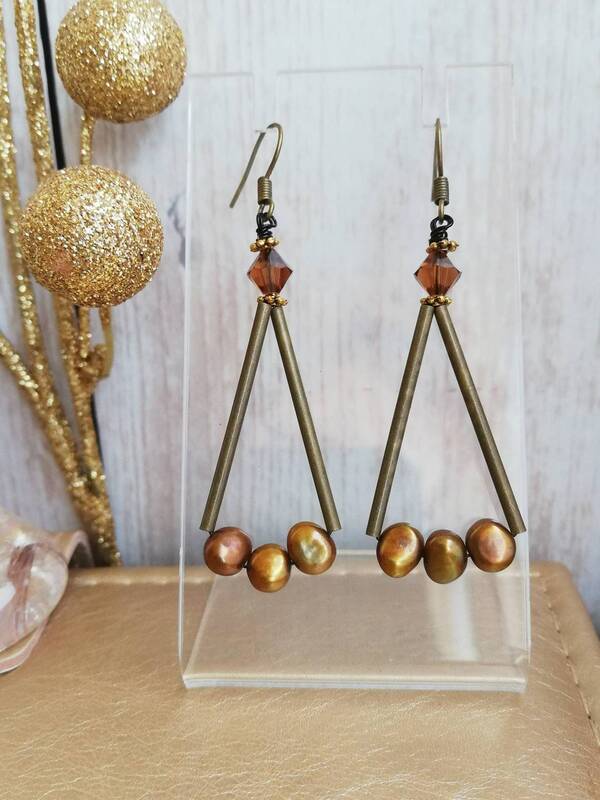 I have included pictures of those and you can find them all in my shop earring section.